Since publishing my FREE Start a Blog 7-Day Email Course last week, I’ve been getting a ton of emails from you guys. We had nearly 400 people sign up for the course in the last 7 days, which is SO awesome! I’ve been getting such great feedback from you- if you want to join the course you can do so right here. And, remember that if you ever have any questions, you can just hit “reply” to any of the emails containing your lessons, and I’ll do my best to help. 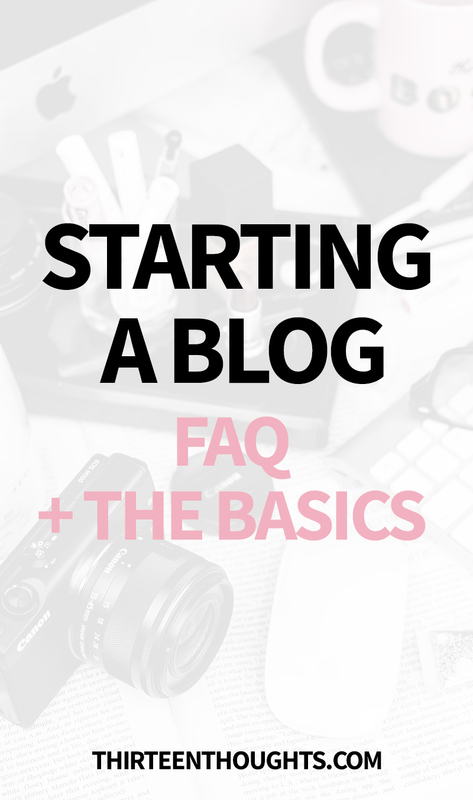 I’ve also been getting SO many questions from my students and other people interested in starting a blog, I’ve decided to address some of them in a blog post. This is a little follow-up to my email course, but you might also find this post helpful if you’re new to blogging or are thinking about starting a blog. BLOGGER AND WORDPRESS.ORG… WHAT’S THE DIFFERENCE? This is one of those questions that comes up, all the time when someone decides to start a blog. In my course, I focus on starting a blog on the same platform that I, myself, use- WordPress.Org. WordPress.Org itself is a free service, but it is a self-hosted management system. This means that you are responsible for hosting your content. Self-hosted… what exactly does it mean? Unlike other free platforms (think Blogger) WordPress.Org requires that you set up your own web hosting with a 3rd party company. Think of hosting as you rent. Think of it this way: your domain is your home address, your host provider is your landlord, and WordPress is your home. To keep things streamlined, it’s best to purchase your domain from the same place you purchase your hosting. A lot of providers also offer a free domain registration, when you sign up for their hosting services. Now, there are also other, free blogging platforms, like Blogger, Tumblr or WordPress.Com. With these platforms, they’re the ones taking care of hosting. BUT, they also come with their limits when it comes to things like storage space and being able to customize your blog. Another thing is that with Blogger, Google can suspend your blog at any time. With a self-hosted blog, you’re in control. DO I REALLY NEED A SELF-HOSTED BLOG? I’ll keep things simple. If you want to have full control over your blog or website, you need a self-hosted blog. If you plan on monetizing your blog, you need a self-hosted site. With a self-hosted WordPress blog, you can install custom themes, plugins that will expand your website’s capabilities, you have complete control over search engine optimization and won’t run into problems when it comes to monetizing your blog. In other words, WordPress gives you room to grow and expand. 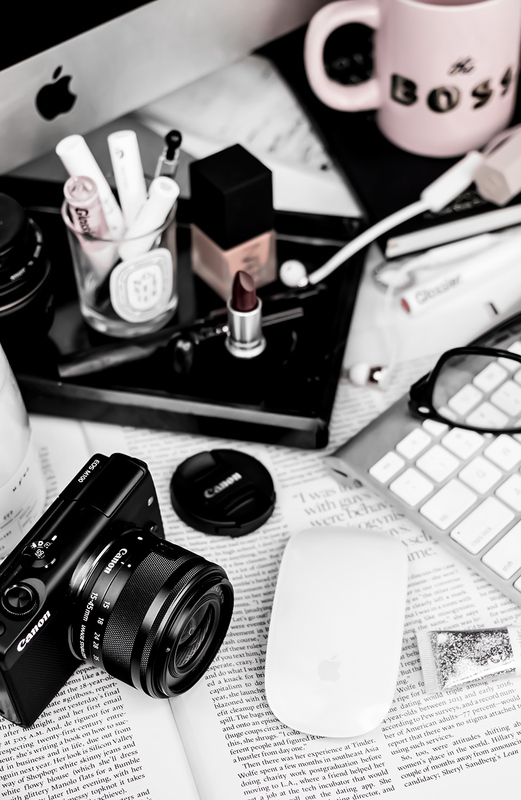 Say you want to create a product or offer paid services in the future or plan or monetizing your blog in any other way- a self-hosted blog the way to go. All of this might sound a little complicated at first, but once you sign up for hosting, register your domain and install WordPress, you won’t have to worry about any of the technical things (as long as you choose a reliable host). WordPress is very easy to navigate and use. 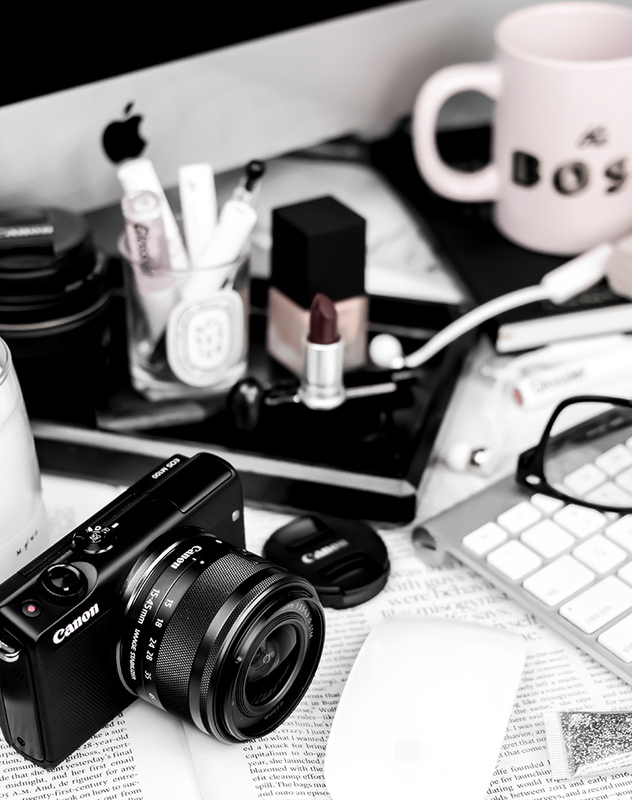 If, on the other hand, you just want to blog for fun or explore the blogging world and don’t plan on monetizing your blog, then you don’t need a self-hosted blog and will be better off starting a blog on a free platform. You will see a ton of bloggers promoting services like Bluehost or Hostgator, which, aren’t so great, even for beginners. Full disclosure- I actually did promote Hostgator for a while and I have personally used them for the first couple of years of blogging- and they were great. At first. Over the years, however, I noticed a huge change in the quality of their services, and once I decided to change providers, I also stopped promoting them. I have a few of my own “hosting horror stories” that I will share in my next Blog Tips post. Picking a high-quality web-hosting is very important and having great service, where you don’t have to worry about your blog running slow, being hacked or shutting down with every small traffic spike, is crucial. All you want to worry about is creating awesome content. SiteGround is a an awesome hosting provider for beginners; they have great uptimes, they are safe, fast and have great support. Support is probably one of the most important things when it comes to hosting. I know next to nothing when it comes to a back-end of a website, so knowing that you can immediately talk to someone if there is an issue with your blog, is SO important! Right now, SiteGround is also offering a FREE website transfer, so if you’re unhappy with your current host, you can switch to Siteground, hassle-free and have one of their experts handle the transfer for you. If you’re no longer a blog newbie and have a high-traffic blog or a blog that is growing quickly and are looking for managed VPS hosting, I also can’t recommend Known Host enough- they are seriously amazing and provide an outstanding support. WHAT IS THE BEST THING I CAN DO TO GROW MY BLOG? One of the best things you can do for your blog growth is getting started on your email list. You probably think that you have to have a lot of Facebook likes, or Instagram followers to run a successful blog and earn money, right? What happens when Instagram or Facebook change their algorithms? What happens if Twitter suddenly decides to shut down? How will you let your readers know that you posted a new article, or that you’re launching a product? You cannot control what happens to your Facebook or Instagram audience, or even what and when they see the content you post to those platforms (unless you decide to pay for advertising). This is why you need an email list! With an email list, things are different. You have direct contact with your audience, you can reach out to them anytime you want. Build a strong email list, and you won’t need to have a ton of traffic or “followers” to make a decent income through your blog. I get asked, all the time, which tool I use to manage and grow my list and it’s ConvertKit. I also have another free workshop/course coming up, which will be all about ConvertKit since I’ve been getting so many questions about it lately. I’m super excited for this one, as it will be more of a hands-on, video class, so if you want to learn how to grow your email list, stay tuned! I will also share exactly how I managed to gain over 1,000 subscribers in the last 30 days. I DON’T THINK MY BLOG POSTS ARE GOOD ENOUGH TO PUBLISH! This is something that comes up SO OFTEN, whenever I talk to people who want to blog. A few of my students actually told me that they have a whole bunch of posts all ready to be published, but they just don’t feel very confident about them. “I have so many ideas but I don’t feel confident enough to actually *publish* my posts.” Well, if you really don’t think you’re a good writer, I’ll let you in on a secret. You know how to become better at writing? By writing (reading helps, too). I sometimes read some of my older posts and I cringe a little, but you know what? I would never have found my confidence as a writer if it wasn’t for those “bad” articles. That is how you find your writing style and your own voice: by writing those posts and hitting publish. Don’t be afraid to show your personality through your writing. Write about things you like, things you’re knowledgeable about. You don’t have to focus on things that are popular- this is one of the biggest mistakes new bloggers make. DO YOU- you don’t have to be everyone’s cup of tea! There are enough awesome people out there who share your interests, people who will be curious about things you write, but you have to let your personality shine and follow your gut, rather than trying to be someone you’re not. If you’re a mom, share some tips about motherhood and managing your time; create freebies, start interesting conversations with other moms. Do you love to cook? Share some of your favorite recipes, tips, create a free checklist or a recipe ebook to encourage people to subscribe to your blog! It doesn’t matter what your interests or hobbies are- there is enough room for everyone, promise! You can find more tips for writing better blog posts in this post. I also highly suggest using Grammarly– I can no longer write without it! Well, the only way to fall in love with blogging and the easiest way of starting a blog is to actually do it, my friend. You can’ wait for a perfect moment, you can’t wait until you have a perfect setup, until you buy that new camera or a new computer. You won’t know everything about everything. But that’s how you learn- by doing things, by trying something new, different, by making mistakes. Every author behind every single blog you like to read was once a novice at this, and they also had no idea what they were doing.